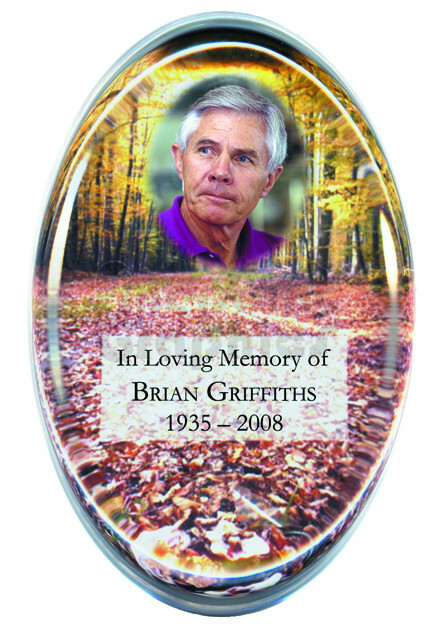 Part of your Memorial Card or Bookmark design can also be redesigned as a Paperweight. Paperweights are single sided so they include one side of your Memorial Card or Bookmark design. Paperweights are supplied in a presentation box. £15.49 for the first Paperweight. £9.49 for each additional paperweight, when ordered at the same time as a Memorial card design*. Please indicate when ordering which part of your memorial card or bookmarks you want to be incorporated into your design.